There is so much going on out there in the world of food and nutrition. Our society has made some great progress when it comes to educating ourselves on what we are feeding our bodies. The marketing companies have also become even smarter….they’ve got most of us wrapped around their fingers. Whole grain, whole wheat, all natural, gluten free….the minute we see these words we often perk up and assume these things are healthy for us. Wrong. So very wrong. And all of the diets. The Atkins Diet. The Low Carb Diet. The Gluten Free Diet. The Paleo Diet. This challenge. That challenge. The Problem? The word diet, unrealistic guidelines and the notion that a quick fix is on the way. It strikes a cord with me. People, because its human nature, commit to these “diets” and once they get off track for even a split second all hell breaks loose. They either guilt themselves and deprive themselves or completely give up on their “diet” and regress or binge. So if these diets work for you…I apologize. You do what you do and I’ll do what I do. If you are wondering what I do with regard to my eating habits here you go. And if you have not a single care about what I do then just skip this paragraph 😉 First off, I am not a licensed nutritionist and I am not a medical expert. I am a wife and a mom first and foremost. And this wife and mom happens to be totally interested in nutrition AND delicious food and has a no tolerance policy for depriving myself or my family of awesome, craveable eats, within reason. There are many reasons for this. Mostly, I don’t want my children to grow up with food guilt. I want them to know that it is okay to have what they are hungry for in moderation but also that making healthy choices are a normal part of their lives. Sometimes we have a sweet tooth and are craving cookies…and this is one way we roll in that direction. Sometimes we want french fries. Comfort food. The list could go on. We try to make all of these things achievable while still eating REAL, honest food. My family’s eating lifestyle goes a little like this: fruits, veggies and protein are the main components…sprinkling in grains and diary is totally okay, if we choose the right ones. And once in a while, indulge. If we are at an apple orchard, you better believe we are going to have that caramel apple. Thanksgiving? You seriously think Im going to pass on pumpkin pie? Date night with my husband? I’d never try to pass up pizza and wine with him. They just aren’t a part of our everyday lives. Fortunately, for my family, we have no severe food allergies so there is nothing we have to completely cut out…but there are definitely things that aren’t a part of our normal eating lifestyle like white sugar and refined flours. They do no good for our bodies. Preheat oven to 375. 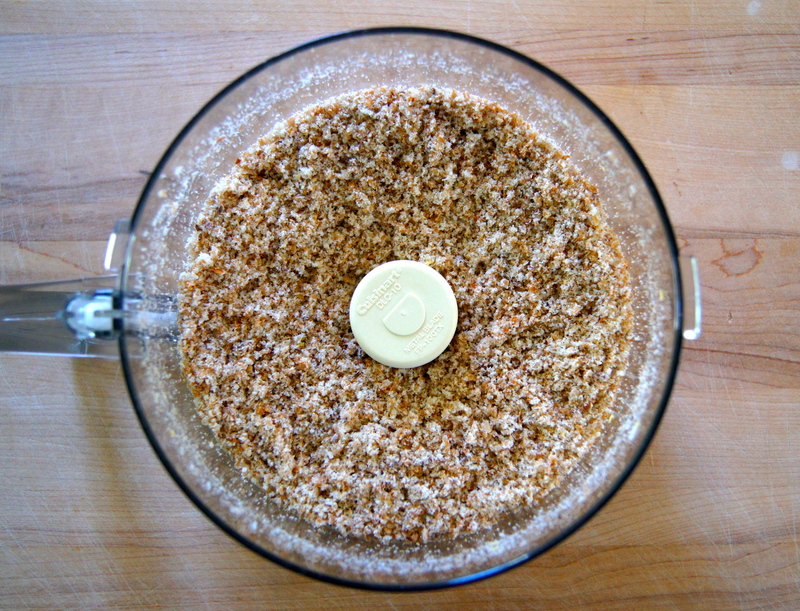 Place bread in the bowl of a food processor and process until tiny crumbs are formed. Lay the crumbs on a baking sheet, drizzle with olive oil and sprinkle with salt and italian seasoning, if using; toss well to coat. 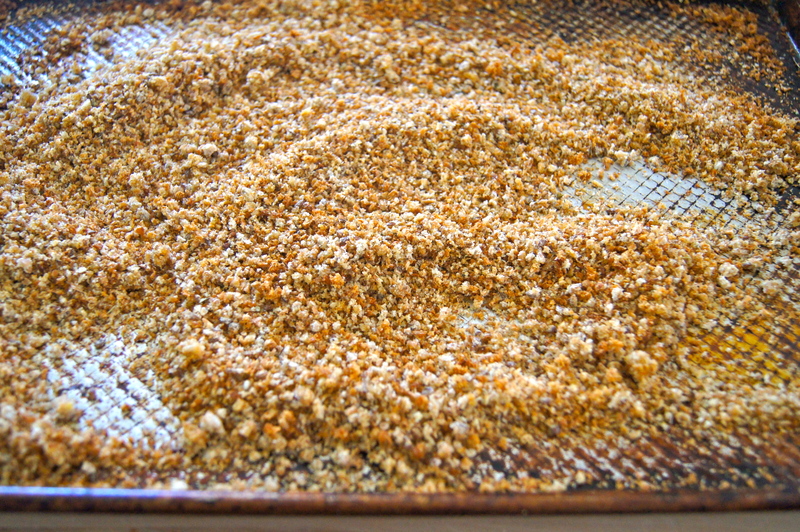 Bake for 10-12 minutes, stirring 2-3 times in between, or until crumbs become golden and crisp up. Thank you so much for these tips can’t wait to try this. We love to sprinkle breadcrumbs on our fish! You are most welcome! 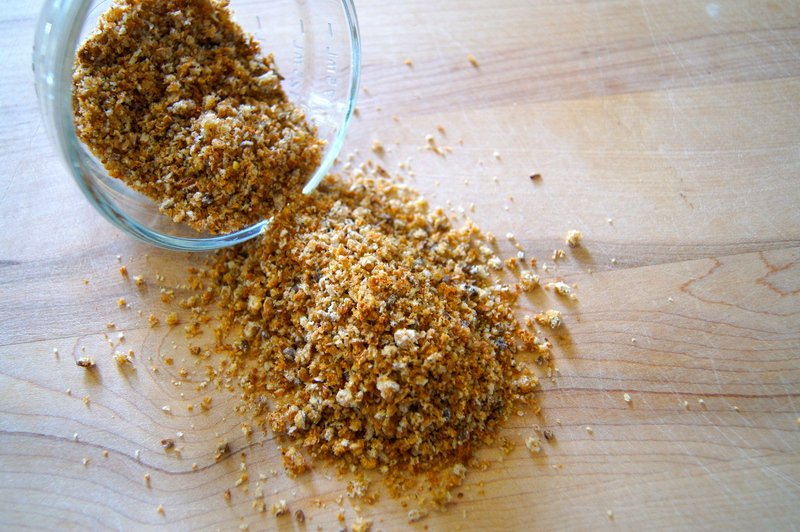 I really do love these breadcrumbs…keeping them stored in the freezer makes meal times a cinch!